$795. 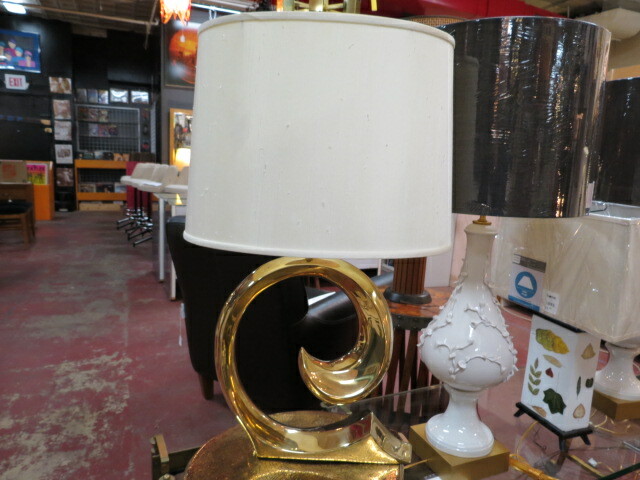 Vintage mid-century modern solid brass abstract shape lamp, c. 1970. Pierre Cardin is an Italian born French fashion designer, known for his avante garde style. Cool abstract shape. Cream silk like oval drum shade. Now selling on 1stdibs.com for $2000! Perfect for your living room. Excellent condition. 16in wide, 11in deep, 28in tall.